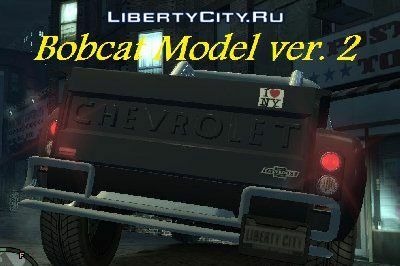 A new model of bobcat for GTA 4. Now this is a chevrolet brand. Rusty Chevrolet Wrecker for GTA IV. The model is qualitative. No bugs. A car that just was not enough in the game. Have a good game! Bigfoot for GTA 4. (Video) . The file is already flooded with LibertyCity.ru, but in the old version was Readme in a very strange language, in this version Readme is translated to English . That will greatly simplify the installation for teapots. Here Video .